I spent last weekend in Metairie, just outside of New Orleans, visiting my grandparents. 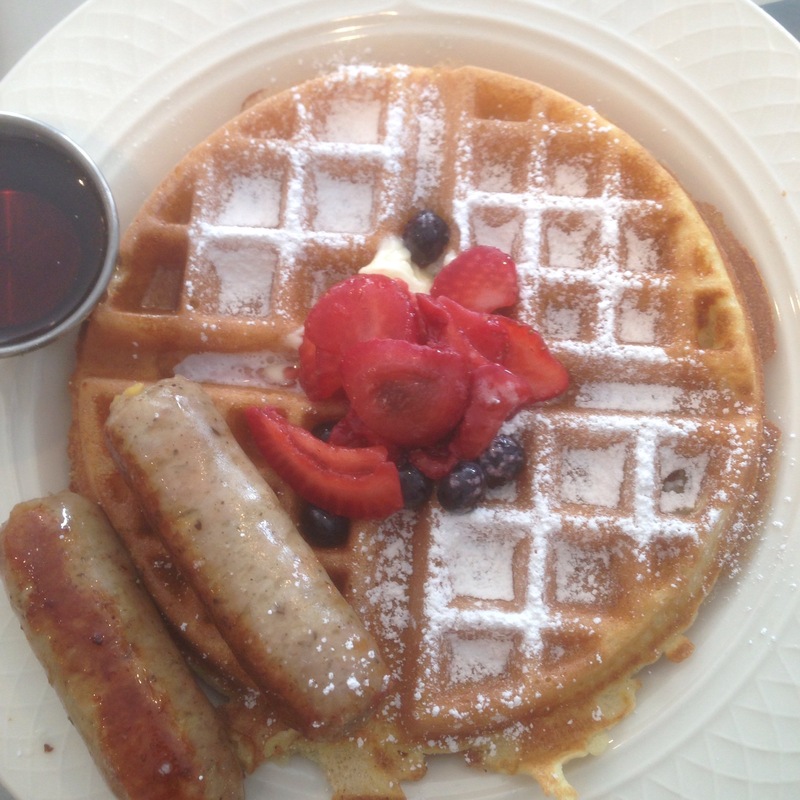 We started off Saturday with breakfast at Blue Line Sandwiches, which was super cute and cozy. I’ll definitely have to go back for lunch next time because their sandwich menu looked killer. 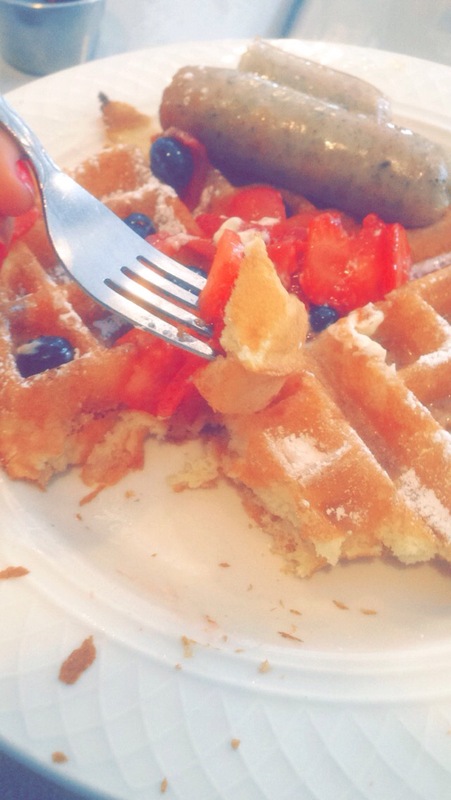 I got waffles with berries and a side of sausage. 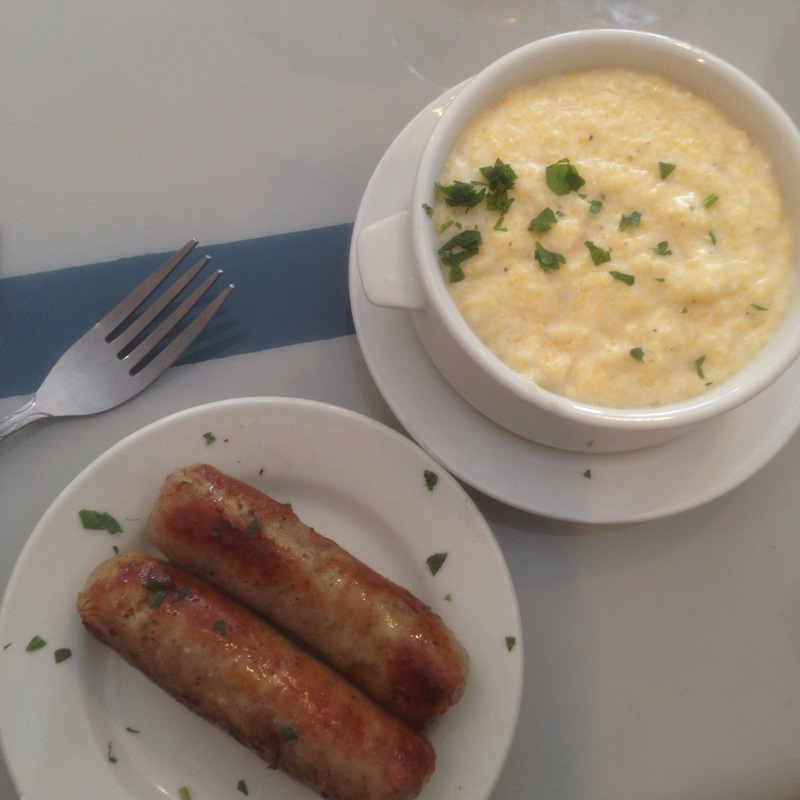 They also have these super rich and creamy grits. 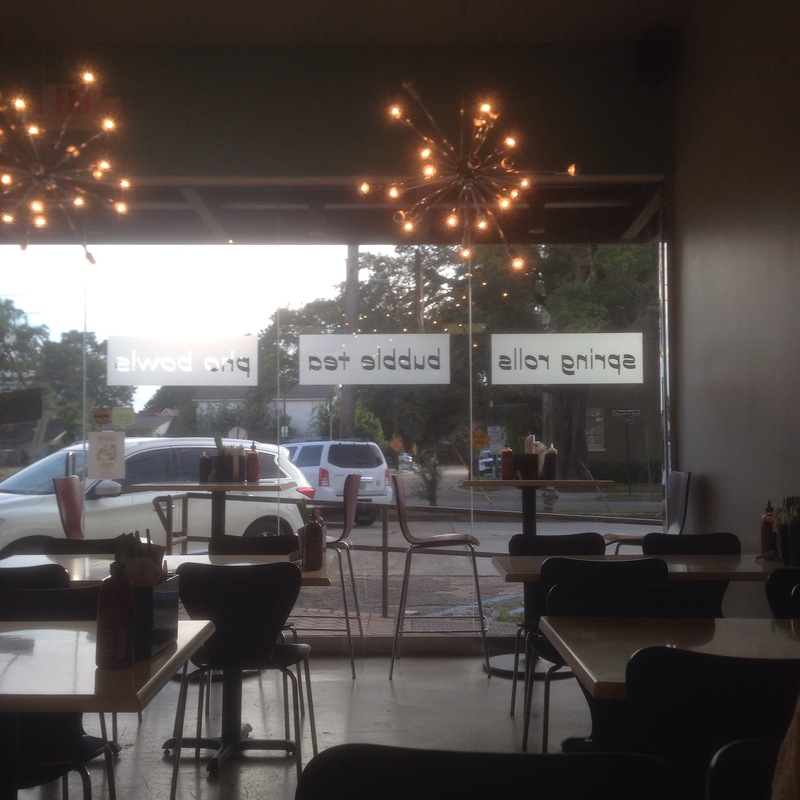 We ate lunch at home, but went to a little Vietnamese place called Rolls N Bowls for dinner. It’s adorable. I love the lighting fixtures and artwork hanging on the walls. We started off with the fried dumplings- an order each of pork and chicken. 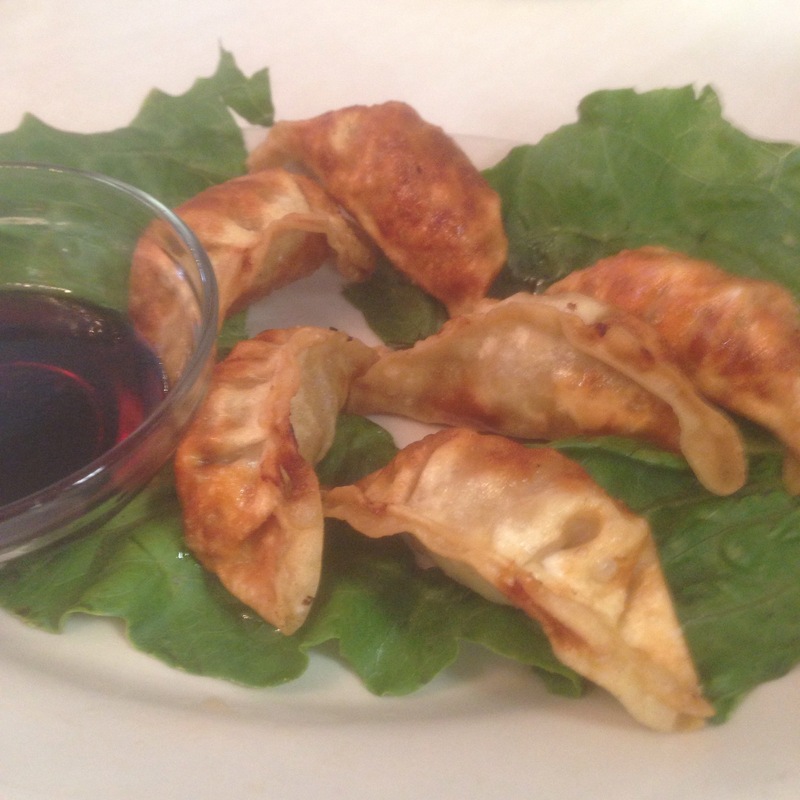 They were super crispy and delicious- I might be a little biased, given how much I love dumplings, but these were awesome. 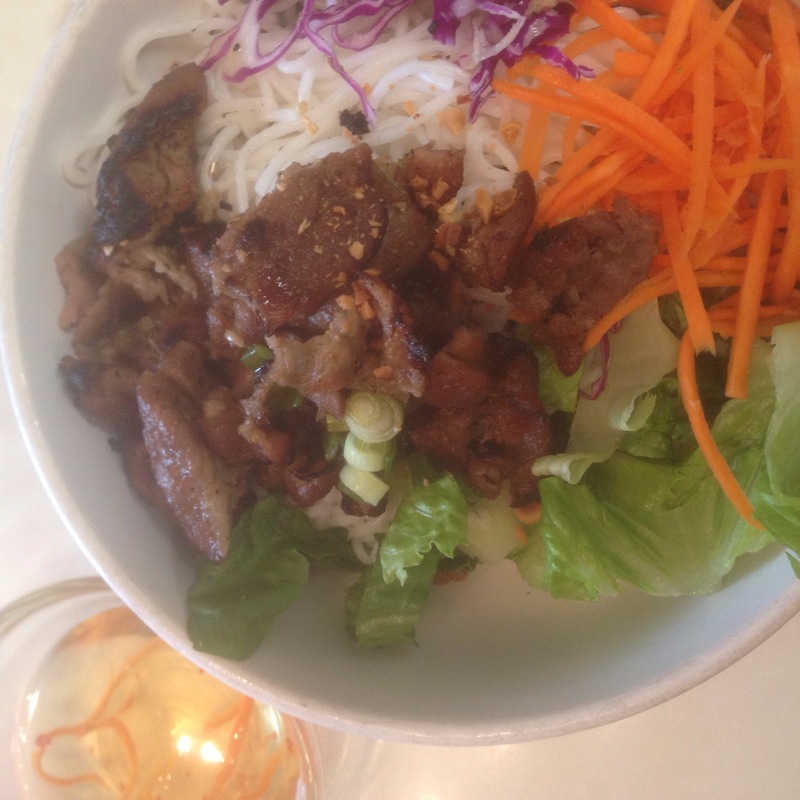 I got a bowl of pork bun, which is a rice vermicelli and lettuce bowl. It tasted super fresh and bright. The pork was really the star- it was flavorful and crisp. 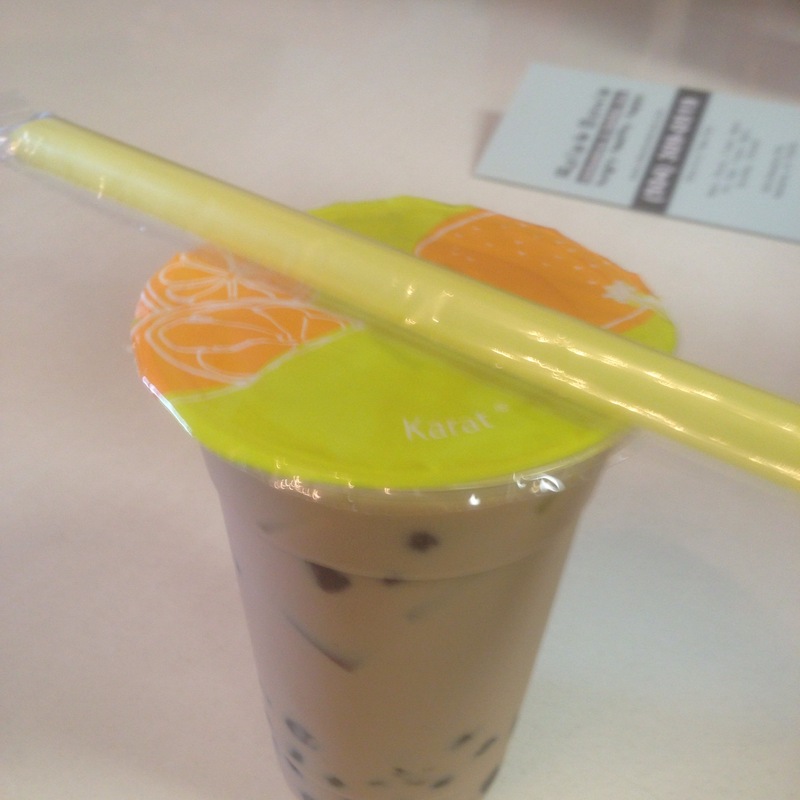 I also shared a milk tea with my sister. Overall, it was a great meal! Honestly, food wise, New Orleans is one of my favorite cities. There’re so many unique and special options. Coming from Houston, I really enjoy how many independently owned cafes and restaurants there are. I wish we had more, at least in my area. Stay tuned tomorrow for more from New Irleans. Previous Previous post: The Infinity Dreams Award!